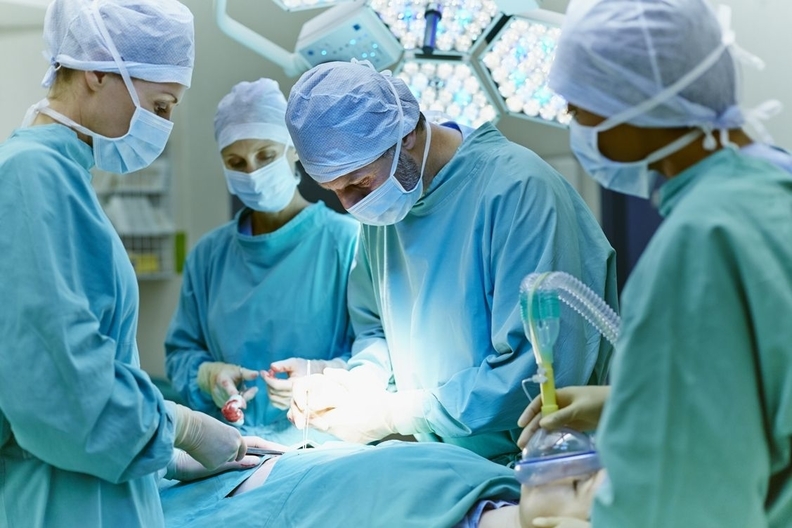 The Agency for Healthcare Research and Quality estimates that 1.3 million fewer patients were harmed in U.S. hospitals from 2010 to 2013 amid focused and widespread efforts to reduce surgical-site infections, adverse drug events and other preventable incidents. The decline represents cumulative 17% reduction and an estimated 50,000 deaths prevented over the three years after the launch of the Partnership for Patients, a public-private collaborative created with funding from HHS. HHS is expected to publish data on hospital-acquired conditions for individual hospitals later this month. Officials attribute the improvements to a combination of efforts, including pay-for-performance incentives, increases in public reporting of data and the sharing of best practices. Healthcare quality and safety experts call the reductions impressive, but they also emphasize that there is still a long way to go to improve the safety of the nation's hospitals. The new estimates released Tuesday suggest rapid and accelerating improvement over the three-year period compared with the 2010 baselines set for the Partnership for Patients initiative. The report shows 98,000 fewer hospital-acquired conditions in 2011 and nearly 800,000 fewer in 2013. The estimate of 34,530 deaths prevented in 2013 was nearly 10 times greater than the reduction estimated in 2011. The cumulative cost savings during the period analyzed was nearly $12 billion, with about two-thirds of the figure coming in the final year. Still, the impressive improvement by all three measures falls short of the ambitious goals set at the start of the Partnership for Patients, which aimed to reduce preventable hospital-acquired conditions by 40% by the end of 2013. That date was later extended to 2014. HHS estimated at the time that hitting that mark would mean 1.8 million fewer harms, 60,000 fewer deaths and savings of as much as $35 billion. The new report acknowledges that the “rate is still too high.” Even the reduced rate of 121 HACs per 1,000 admissions means nearly 10% of hospital patients will experience one or more of the harms measured. Dr. Don Goldmann, chief medical and science officer for the Institute for Healthcare Improvement, said the report represents real progress. Certain measures, though, still lack evidence for what hospitals can do to improve on them, he said. For example, the greatest reductions were among central line-associated bloodstream infections. According to the report, there was a 49% reduction in CLABSI from the 2010 baseline to 2013, compared with an 18% reduction in postoperative venous thromboembolisms, a 19% reduction in surgical site infections and a 28% reduction in catheter-associated urinary tract infections. Some patient safety experts have criticized the Partnership for Patients for failing to establish measures and apply them consistently across the 26 Hospital Engagement Networks established under the initiative. More than 3,700 hospitals participated in the networks. "The key is having a valid measure to start with," said Dr. Peter Pronovost, director of the Armstrong Institute for Patient Safety and Quality at Johns Hopkins Medicine. Pronovost said his hospital improved HAC rates by 37% in 2013 by focusing on clinical documentation and coding in response to penalties. "Yet we improved them by focusing on documentation rather than improving quality and safety," he said. "Is this in the best interest of patients or the public? I do not think so." Data for the report were drawn from various sources. They include medical records collected by the CMS each year as part of the quality improvement process; surgical site infection data come from CDC's National Healthcare Safety Network, and obstetric adverse events from AHRQ's Patient Safety Indicators. Substantial progress was made as a result of the concerted efforts, noted Dr. Richard Kronick, director of the AHRQ. “This has been a real team effort within Health and Human Services and with the hospital community,” said Kronick. The improvements seem much larger than studies published by others researchers looking at safety, he said. American Hospital Association president, Rich Umbdenstock, who joined a call with HHS officials to discuss the findings, said it would be “an enormous help,” if there was better coordination between public and private sectors on measurements. “The more public and private alignment there is, the better the evidence will be and the more sustainable the focus,” Umbdenstock said. The ability to sustain the success will depend on hospitals' efforts to create a culture of safety and high reliability, said Conway. Organizations that deliver consistent safety results have embedded safety processes in their culture, which he acknowledged is no easy feat.